A few days ago I watched “One Nation Under Stress,” an HBO documentary narrated by Dr. Sanjay Gupta. I had no idea what it was going to be about but previous exposure to Dr. Gupta’s TV presentations was a strong inducement to view it. The program delved into the decline in US life expectancy over the last three years. 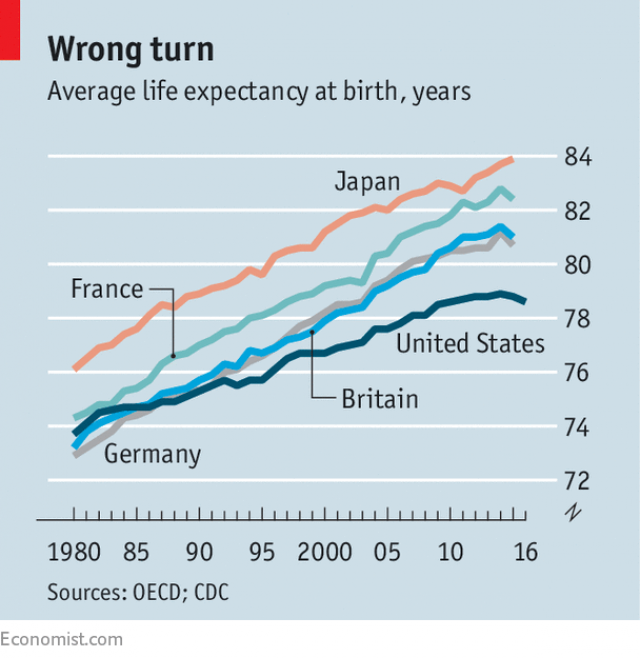 Figure 1 shows The Economist’s data for the life expectancy in five major developed countries over the last 36 years. The figure shows that the US started this period lumped together with the three European countries (Japan started and remains at the top) and ended it well below the pack. It also illustrates that the rate of increase in life expectancy in the US is significantly slower than that in all four other countries. Apparently, this rate has changed over the last three years, dipping even lower. The latest CDC numbers that I could extract for the US were: 2014 – 78.9 years; 2015 – 78.8 years; 2016 – 78.6 years; and 2017 – 78.6. Recent research by two Princeton economists – Angus Deaton and his wife Anne Case – reports that the mortality rate of middle aged (45 – 54) white Americans, with no more than high school education, is sharply increasing compared to every other reference group in the US; in fact, it is higher than that in any other developed country they have looked at. This high mortality rate seems to be mostly related to suicide, drugs, and alcohol abuse. Deaton just won a Nobel Prize in Economics so hopefully people will pay attention to what he writes. Dr. Gupta included an interview with Drs. Deaton and Case in his program but he used data from the CDC, which applies to the entire USA, expanding past the select groups that Deaton and Case covered. In an eye-opening new film, Dr Sanjay Gupta explores the link between stress and the continuing fall in US life expectancy. By the time you finish this article, your brain will have changed. Something you read or something that happens while you’re trying to focus on these words will go on to have an impact on your day. If that event happens to be stressful – maybe you are interrupted by loud colleagues or a loved one calls with bad news – it can trigger a series of more stressful events such as choosing something unhealthy to eat or being unintentionally rude to a friend or co-worker. That chain reaction, if repeated, takes a toll on your overall health and wellness. Stress has been shown to be an aggravating factor in, among other conditions, heart disease, diabetes and mental health problems. That might explain why US life expectancy has fallen three years in a row. At least that’s the theory of Sanjay Gupta, one of the best-known doctors in the US, who has made stress the centerpiece of his documentary One Nation Under Stress. Stress is an aggravating factor for nations and the world; climate change is an important accelerator to stress that has its root in other causes. Dear Micha, please look at this book could be of interest to you. I heard on ABC an interview with Phillip Blom. Very interesting! The name of the book Nature’s Mutiny by Phillip Blom. She knows my interests and she and her husband are occasional readers of the blog, so I obeyed and ordered the book. This really got me interested. By the time that I received the second email I had already gotten the book by Philipp Blom, a historian focused on post-Middle Age European history. 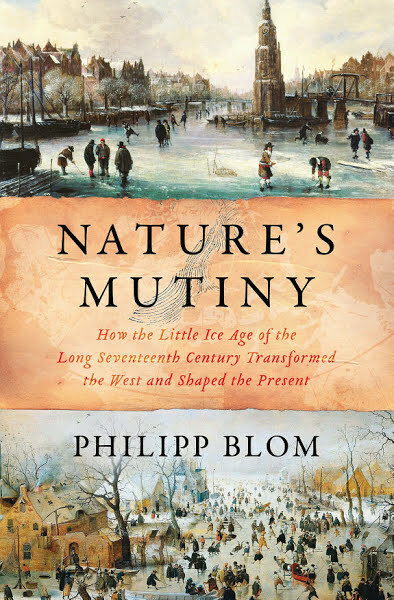 According to the radio show, Blom tries to examine whether our own climate change might trigger a period of creative destruction similar to the aftermath of the Little Ice Age, which peaked around the 15th – 16th centuries (he focuses on what happened in Europe). I have read the book and I will explore its ramifications in the next blog. Meanwhile, I happened to see another documentary, this time on the cable channel Starz. 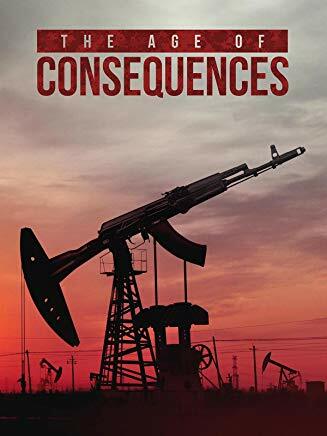 This piece, “The Age of Consequences,” examines the attitude of large factions of the US military (many of the commentators are in uniform) and other US security organizations to climate change. Namely, they portray climate change as an accelerator of instabilities that pose major security threats. In a sense, this documentary is trying to make us visualize the reports that our national security organizations publish periodically. I described the latest of these reports, “Global Trends 2035,” in my May 23, 2017 blog. The film was much more effective than the reports in highlighting the threat. I was so impressed with the documentary that I ordered the DVD and have shown it to two separate climate change classes at my school. I will describe the film and my students’ reactions in future blogs. This entry was posted in Anthropocene, Anthropogenic, Climate Change, Sustainability and tagged Adaptation, Anthropocene, Anthropogenic, Book, Britain, Climate Change, Climate Change Denial, Climate Change Deniers, Climate Skeptics, CO2, CO2 emissions, consequence, Documentary, Emissions, Energy, energy transition, Environment, Europe, France, Future, Germany, Global Warming, greenhouse gas, History, ice age, instability, Japan, life, life expectancy, Military, Mitigation, national security, nature's mutiny, Philipp Blom, Science, security, Sustainability, US. Bookmark the permalink.